Be alert and safe behind the wheel even when you have to take that incoming call on the road. 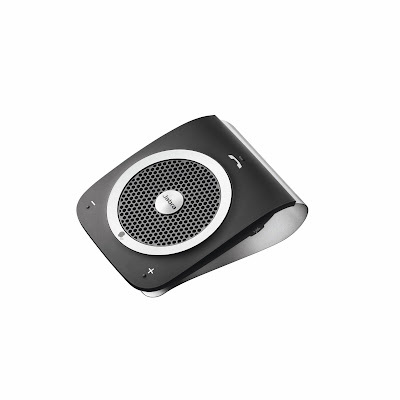 No fiddling around: quickly make calls, stream GPS instructions and listen to your driving tunes by Bluetooth with the Jabra TOUR, the newest in-car speakerphone from Jabra's line of innovative hands-free communication solutions. 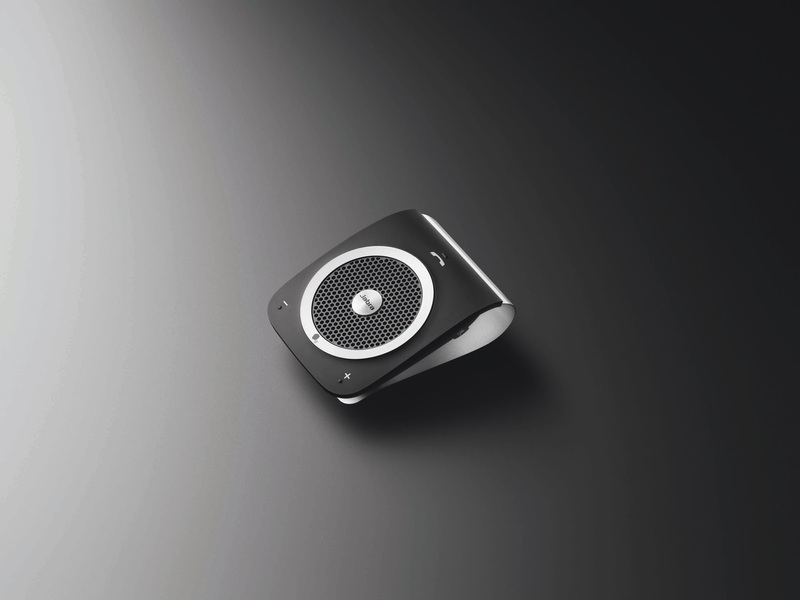 Responding to user demand, particularly Apple fans, the speakerphone features a unique Siri function. With a touch of a button on the device, users can activate the Siri app on their iPhones to get driving directions or create quick calendar entries without having to take their eyes off the road. The slim, sophisticated chassis in modern black and silver accents accommodates intuitive features and makes hands-free talk effortless. 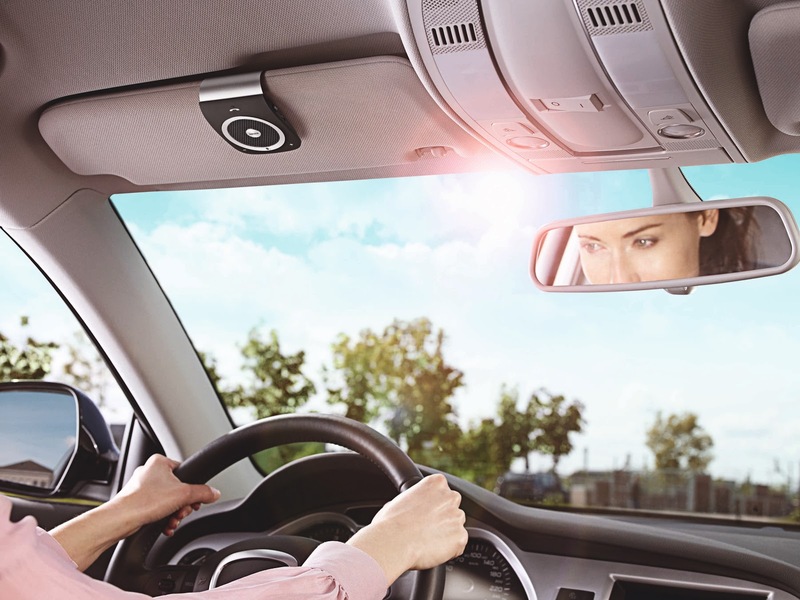 Just clip it onto the sun visor and have conversations on the road while hands stay on the steering wheel. Using smart motion sensor system, it automatically turns on and off when users enter or leave their cars, thus eliminating unnecessary battery rundown when not in use. 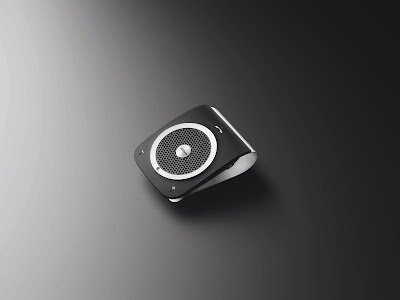 A cut above the rest, it has an extra large, 40mm, 3-watt speaker with enhanced back volume that boasts powerful audio sound far beyond the current standard in the market. HD Voice technology delivers the clearest call sound quality to date, while HD Voice microphone with enhanced noise cancellation leaves out unwanted noise from the road, making calls as clear as face-to-face conversation. The Jabra TOUR makes it easy and fun to drive safe with great sounding music and calls. A Voice Command button provides direct access to phone functions and activates the Siri feature on iPhones, letting drivers make and take calls with simple voice commands. Stream audio directions directly from a GPS app on your smartphone while Caller ID announces incoming calls and delivers battery life status updates. Intuitive, large volume button and a dedicated mute button ensure drivers keep their attention on the road. 1. Easy to set up, even with multiple devices. 2. Spoken caller ID - speaks the name of the caller. 3. Automatic on/off feature with the help of a motion sensor. 6. Compatible with both iOS and Android. 7. Can play music from your phone. 1. No adjustment for mic sensitivity. Just one sentence - if you need one, go for it.